Update: I successfully installed Kaspersky Anti-Virus 2015 (in 15 minutes) by following this tutorial. I always wait for Boxing Day every year. While waiting for Christmas Eve dinner, I’m on my laptop watching the online countdown for one reason: to get the best deal of Kaspersky Anti-Virus. I was able to purchase Kaspersky Anti-Virus 2014 within minutes. But sad to say, I spent days installing the anti-virus. I uninstalled the old version of Kaspersky Anti-Virus through Control Panel. Note: I submitted a report to Kaspersky Lab Support and waited for the solution. I received several responses and after few more hours tinkering, I was able to make it work. I challenge you to make Kaspersky work in first attempt. So let’s get started with the details. Restart your computer. Press and hold the F8 key as your computer restarts. Do this before the Windows logo appears. Choose the safe mode option. In the MS-DOS Windows command line. Run the kavremover.exe by typing cd to go to C:> (the root directory). Type: C:>kavremover.exe to install the remover tool. After the uninstallation of the old version, it’s time to make way for the latest anti-virus. Download the latest Kaspersky Antivirus. 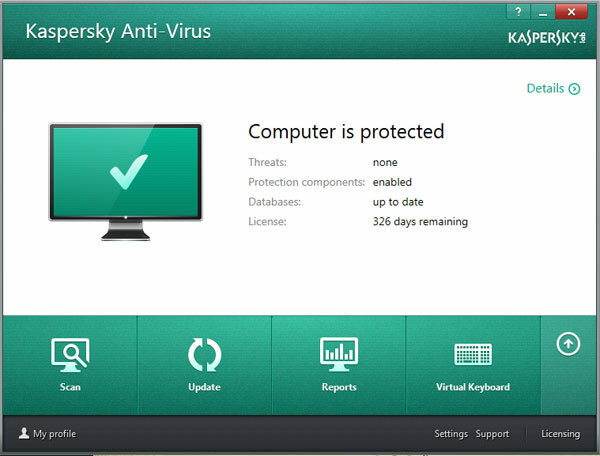 Tip: You can read the procedures in Kaspersky Lab on how to install Kaspersky Anti-Virus 2014. Now this is the picture of success! It wasn’t that hard right? If only I didn’t have the trouble of installing the antivirus, I would have given it a five-star rating. Comes with huge discount (in my favorite e-commerce sites). Keeps all the virus away. In spite of Kaspersky falling short in the last criterion, it bounce back with technical support. Users can create an account in Kaspersky Lab Support to report the problem. I commend the technical support team with their quick response and inquiry of feedback whether the user is still having a problem or it has been resolved. So far, I don’t have any complain about Kaspersky Anti-Virus 2014. My laptop is protected since it is automatically updated. Maybe next year I wouldn’t have to refer back to this post. For now, may this post help and save you from all the trouble I had. Did you have the same problem as mine or was it something else? All your tips are welcome. Let’s work together in keeping safe online browsing using a reliable anti-virus.